Technology Design Services available, contact us for details. Synthesis is a task automation and management system. 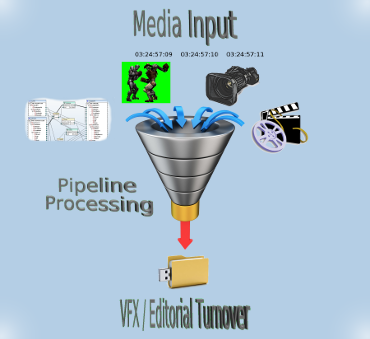 It is used in the processing of media, information and pure data. 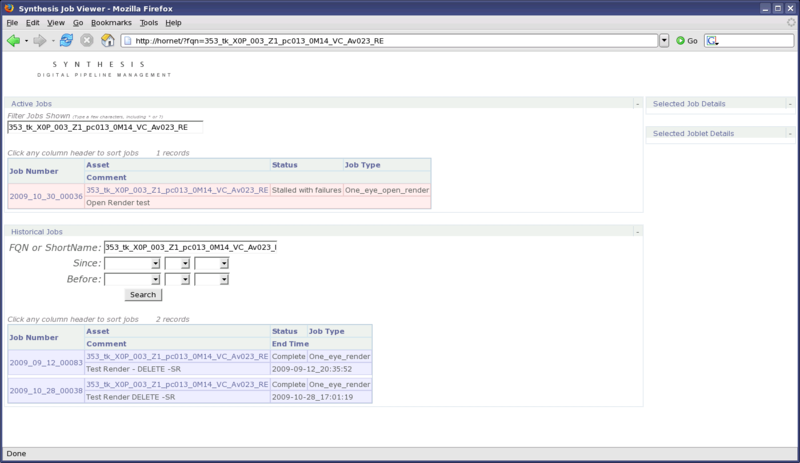 A task-sequencing Server dispatches jobs to available resources while databasing progress, priority and meta-data. 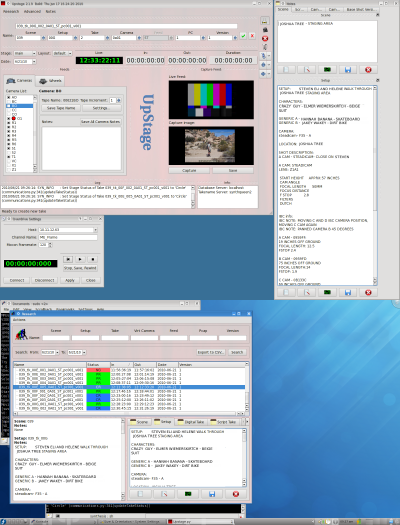 The SDK allows custom multipart-jobs to be created, submitted and managed. 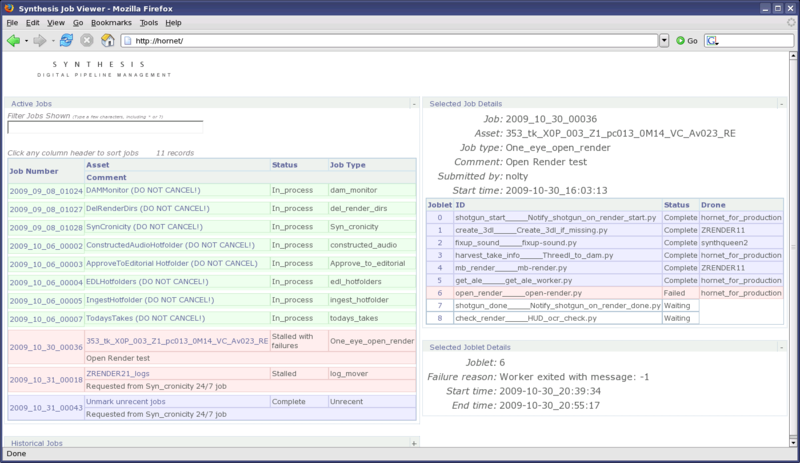 High-level API and Libraries allow for custom tasks to be created. 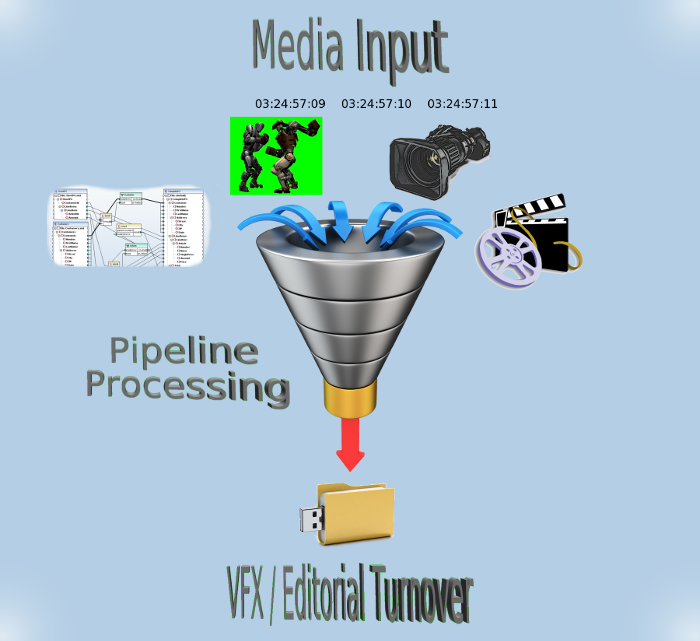 Synthesis was originally developed for the "Avatar" production, where it was the editorial pipeline of the main camera stage. The harvesting of meta-data from this mo-cap stage was largely automated by Synthesis, which assembled assets from multiple departments after each take. The system gathered the data, modified it and rendered it into computer-game resolution video files which were "digital dailies" for the editorial department. 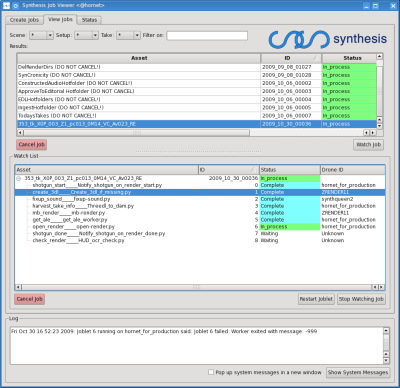 A flexible task-sequencing architecture was designed which utilized networked resources to automate the render process. Nearly every CG shot in the film passed through Synthesis; the renders were the final editorial cut of the film before the high-resolution rendering.